Save those binding and strip scraps to make this easy project. Michelle has all the tips and tricks for this fun design. 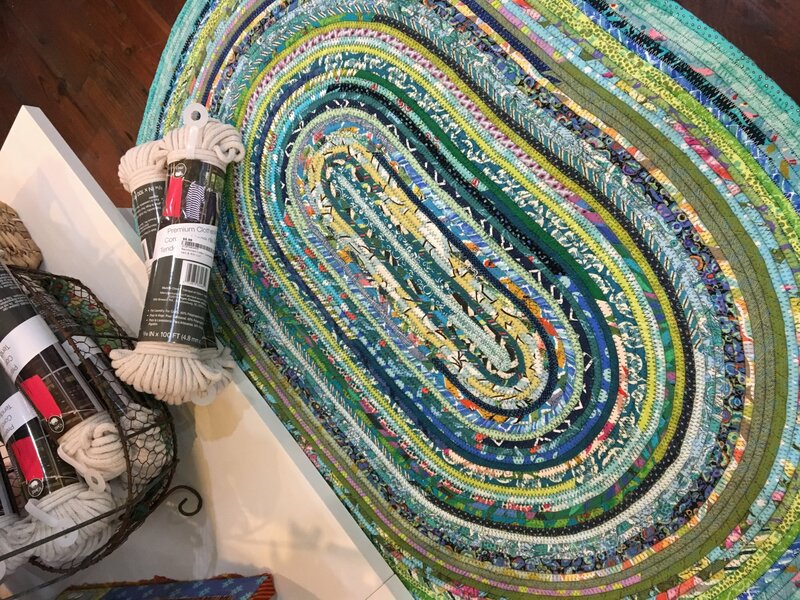 From a trivet to a rug, your project can be as big as your ideas! Must have machine that can zig-zag and have the zig-zag foot for the machine. When checking out there is no need to select any shipping option. Simply select State (TEXAS) and then select NEXT.